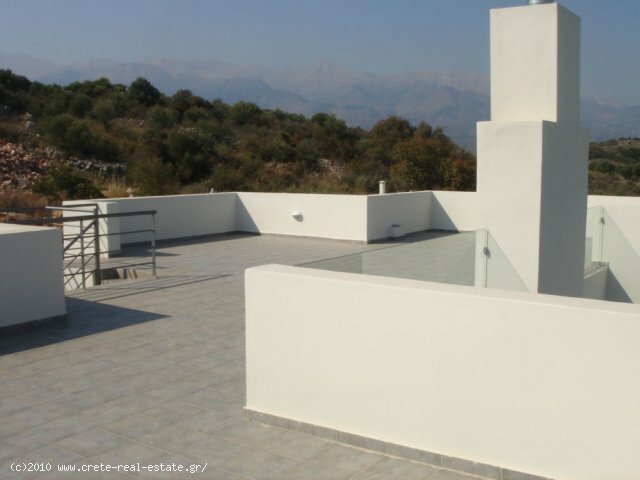 Situated on the heights of Vamos, build on a plot of more than 4000 sqm, this Villa offers superb seaviews of Souda Bay and the White Mountains. 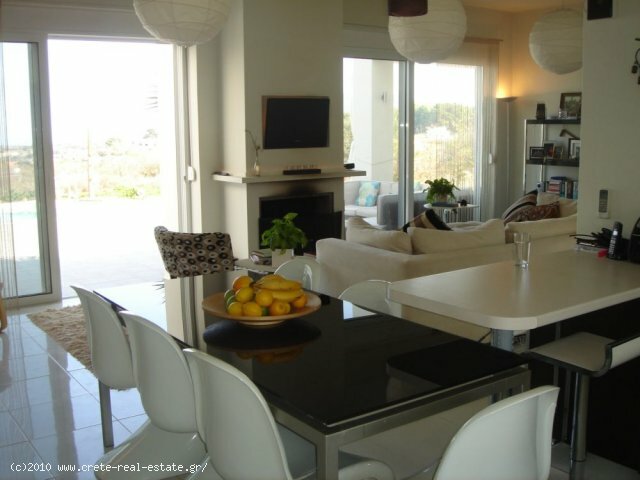 This modern ground floor Villa has 3 bedrooms, 2 bathrooms, a living room with a fire place and an open, fully equipped kitchen, which look out to the spacious terrace and the swimming pool. 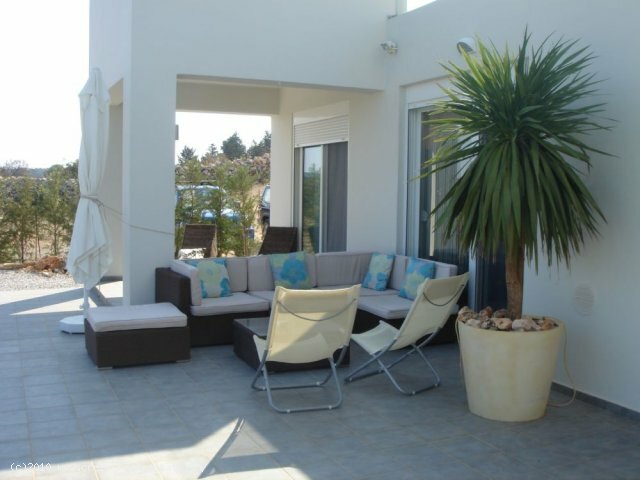 The terrace offers various sitting areas with stunning views of the sea and the green environment. 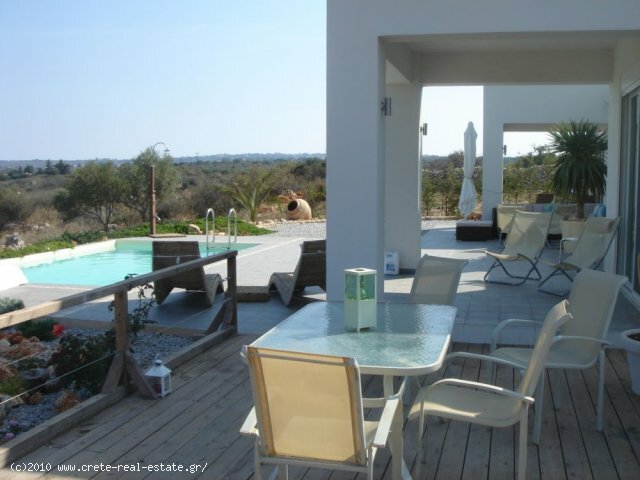 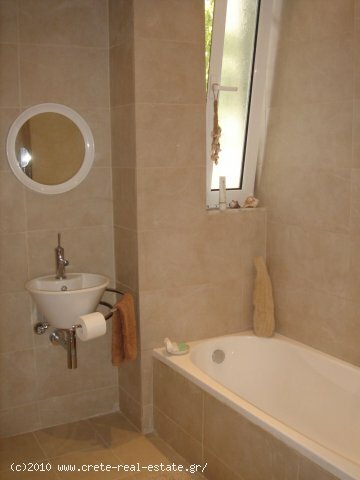 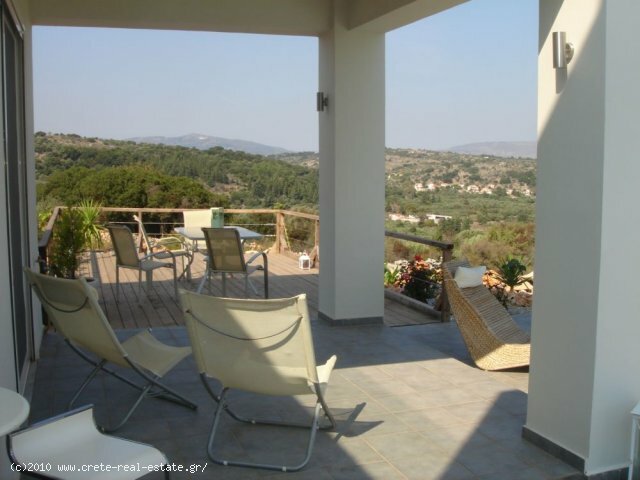 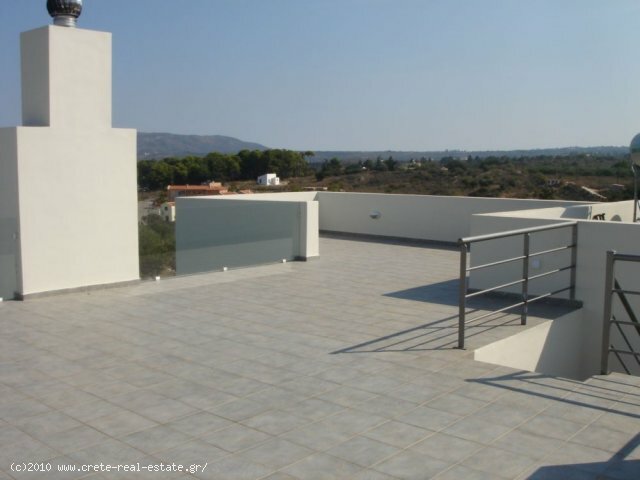 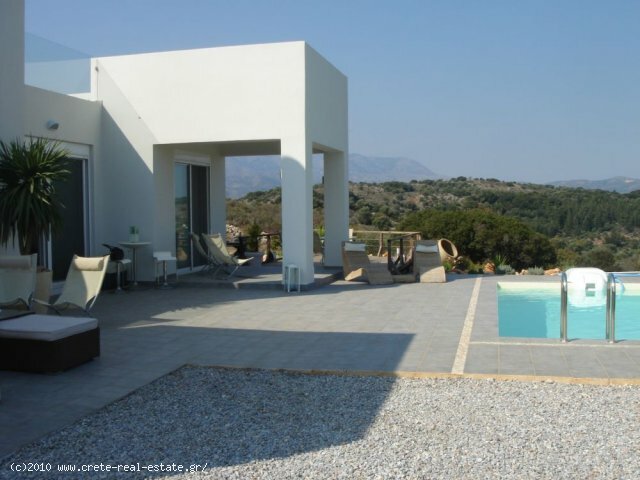 The Villa also has a spacious roofterrace which is tiled and modernly finished with glass balustrades. 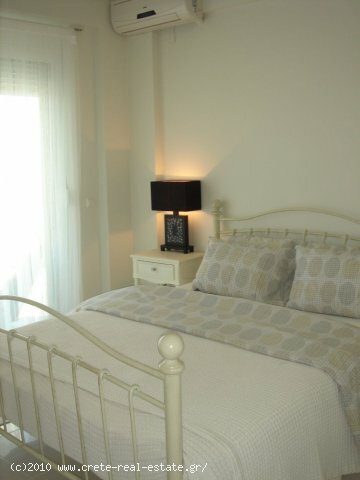 There is central heating and solar panels are installed, airconditioning units in every room and the windows are made of double glazed aluminium with roll-down shutters. 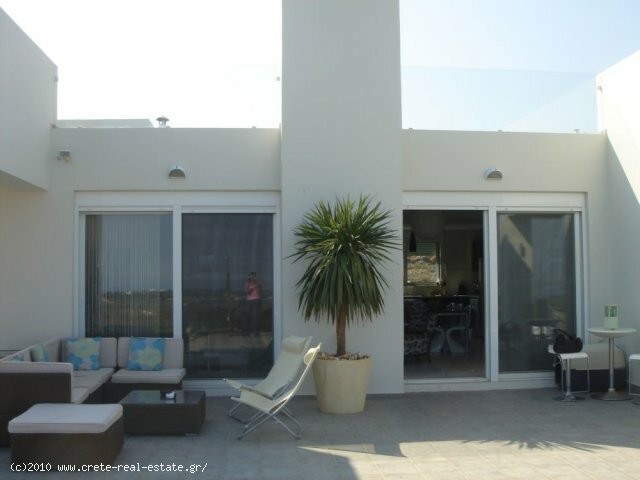 The Villa is sold with all its furniture and extra's. 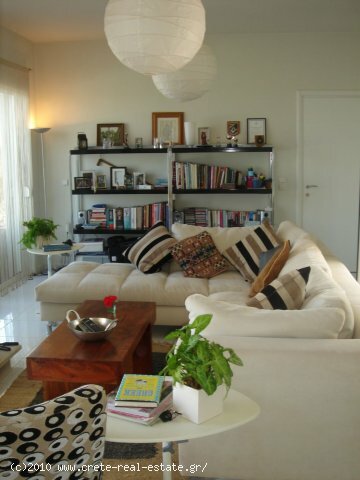 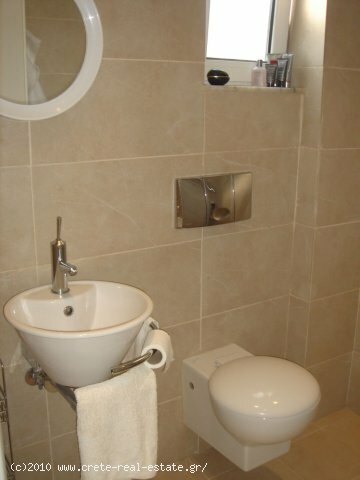 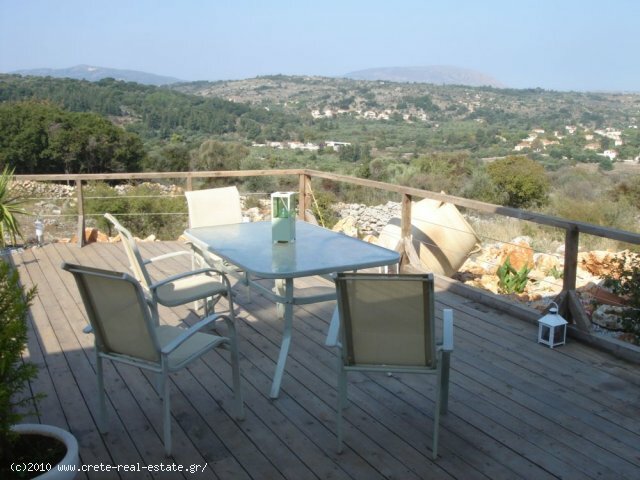 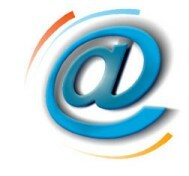 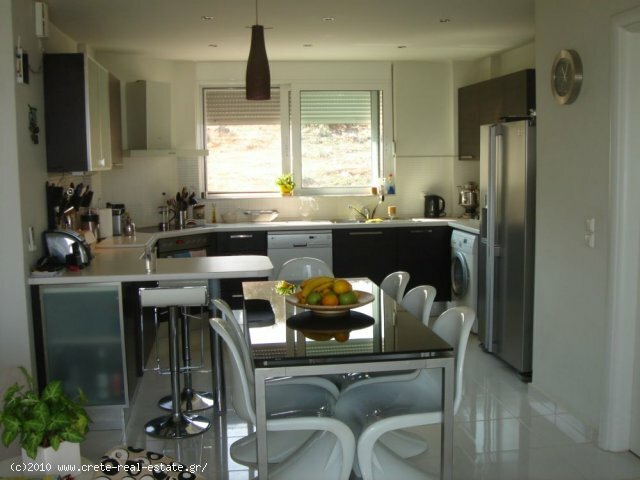 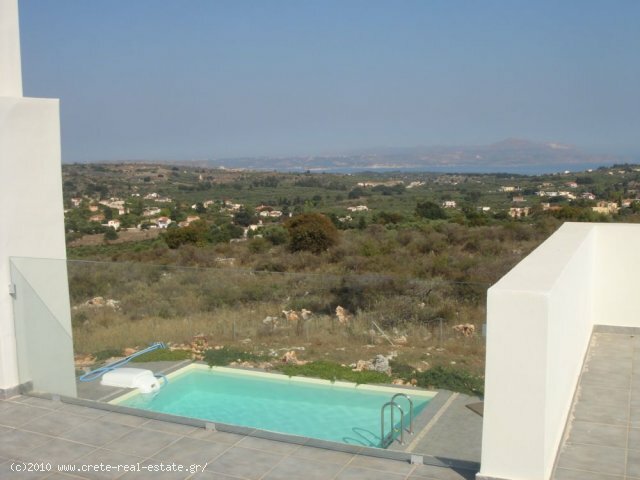 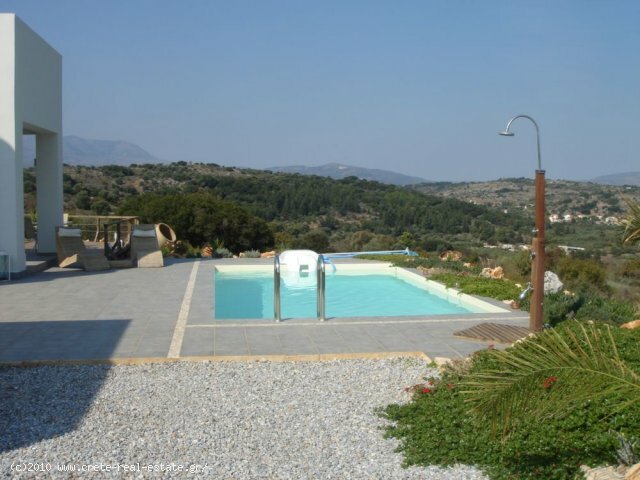 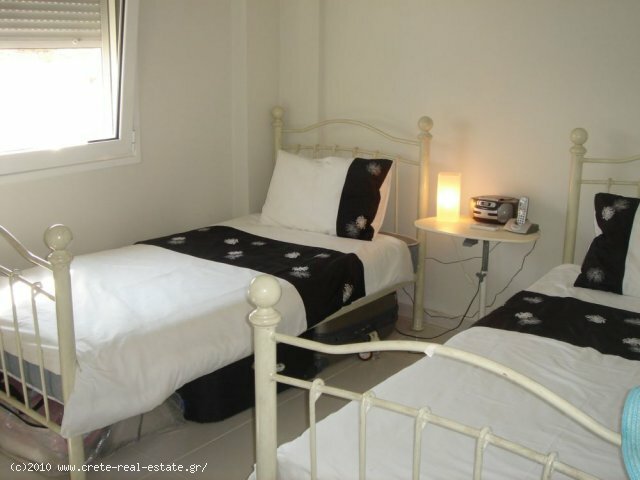 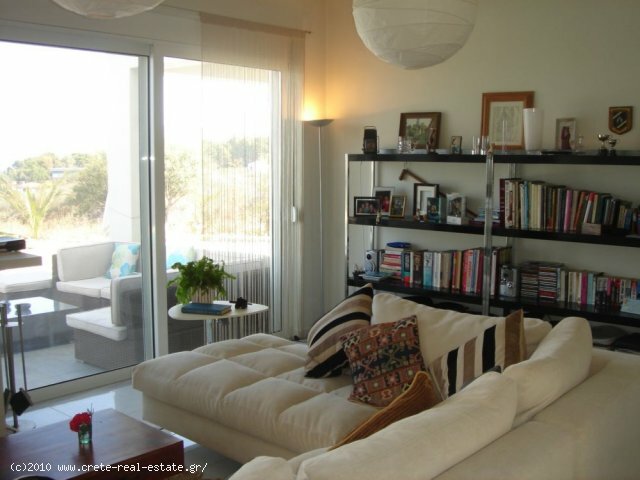 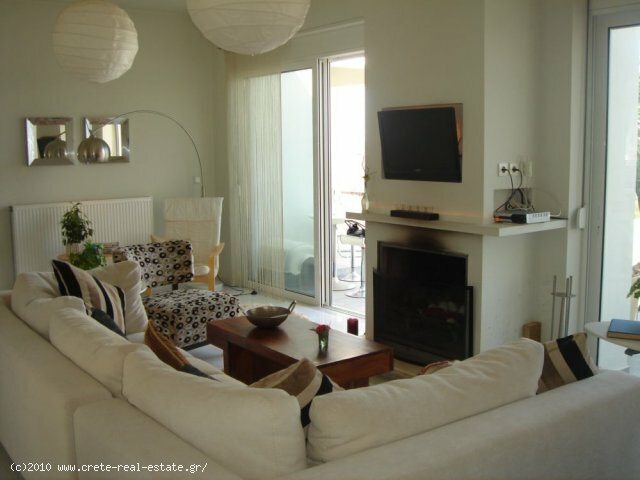 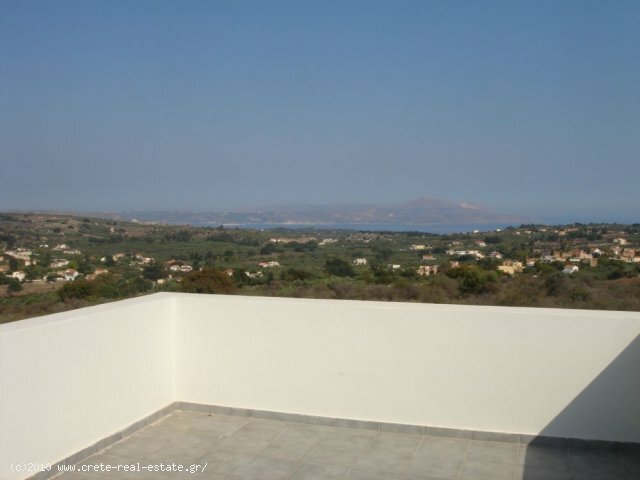 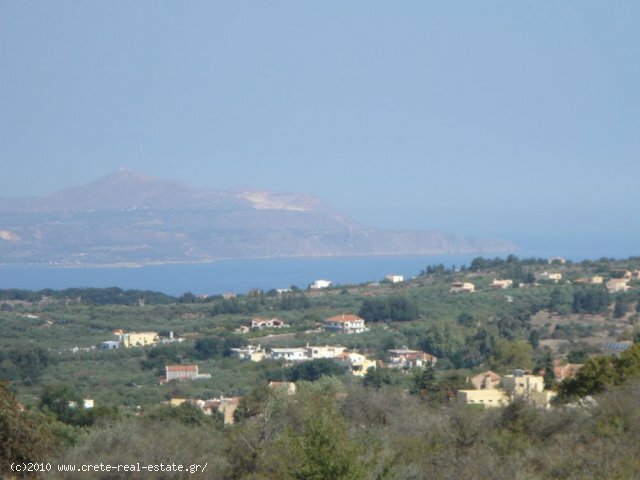 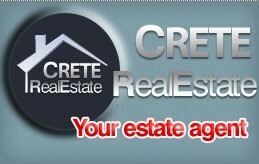 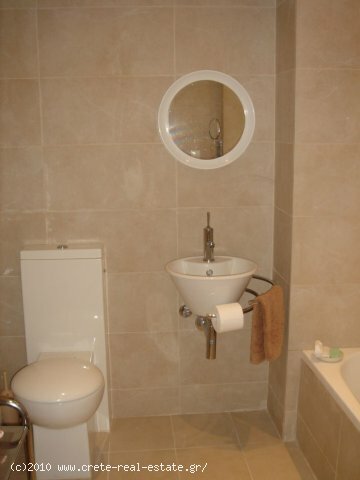 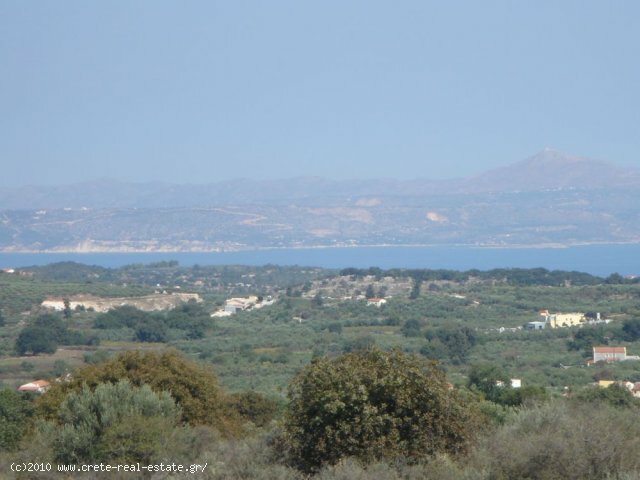 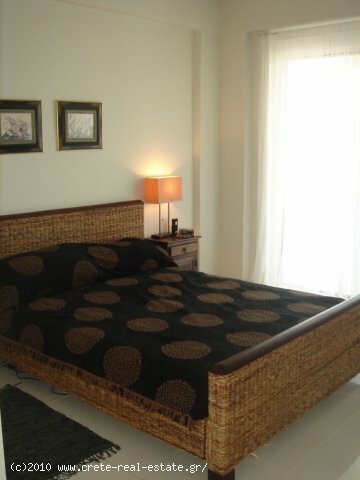 The Villa is located 11 km from the beach of Georgioupoli and 18 km from the city of Chania. 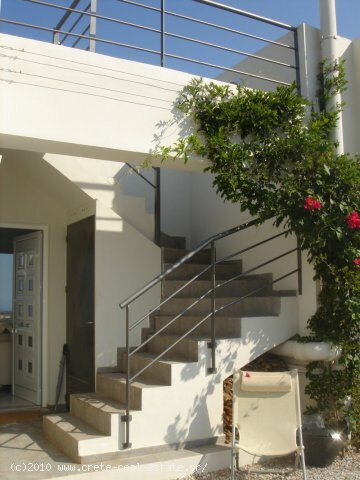 You can find all kind of shops in the village and school is nearby. 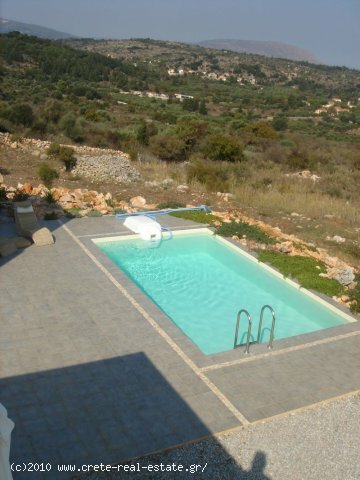 The Villa is 6 years old and as new.